Since his breakout role in Bryan Fuller’s sublime fantasy dramedy Wonderfalls, actor Lee Pace has yet to turn in a failed performance, even when he’s in movies that are clearly not up to his speed. (I’m looking right in your big goofy eyes, Marmaduke.) Currently trying to dominate the universe as Ronan the Accuser in James Gunn’s Guardians of the Galaxy, Pace is doing a little genre double-dipping by joining the cast of the sci-fi action thriller Prisoner of War. And what makes a “war” movie science fiction? Aliens! Pace will star as an American soldier trying to survive during humanity’s last stand against a massive alien attack in a war-torn Africa. He has to team up with a French foreign aid worker, played by Skyfall‘s Bérénice Marlohe, although it seems like more than two people will be needed to take on any aggressive species, much less an alien one. Seeking safety on the battlefield, the duo’s bond will come under fire — probably no pun intended — when the soldier discovers his true identity. Anytime someone has a “true identity,” it usually just means that person was originally the enemy, but I’m not trying to spoil this flick for anyone. Prisoner of War will be the feature directorial debut for Joe Miale, a world-renowned PSA director who also helmed some pretty sweet short films for Machinima, including “>Half-Life: Raise the Bar and “>Assassin’s Creed: Checkmate. Miale also co-wrote the Prisoner of War script alongside Rowan Athale, who wrote and directed the 2012 indie British crime drama The Rise. According to Deadline, Pace is replacing the formerly cast Alex Russell (Chronicle) as this pic’s headliner, which is one of the greatest substitutions in film history. No offense to Russell or anything, but I definitely would not have watched this movie with him leading it. Pace, on the other hand, I would watch in just about anything; though I absolutely skipped The Twilight Saga: Breaking Dawn – Part 2, so I guess we all have our limits. Though if that movie had Marlohe in it instead of Kristen Stewart, who knows what would have happened? Pace is absolute killing it on both the big and small screen lately. 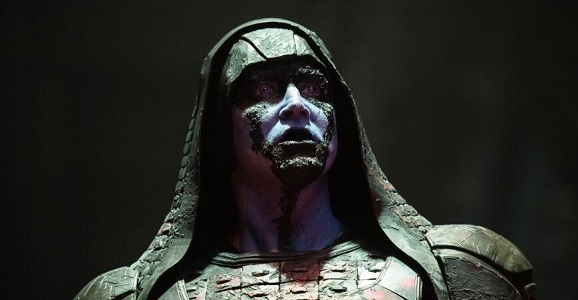 While his Guardians villain Ronan was one of the more disappointing villains in the Marvel-verse, his presence was still pretty menacing, especially when compared to his Elf King Thranduil from Peter Jackson’s Hobbit movies. He’ll be reprising that role for this winter’s The Hobbit: The Battle of the Five Armies, and he also stars in Steven Frears’ upcoming Lance Armstrong biopic. 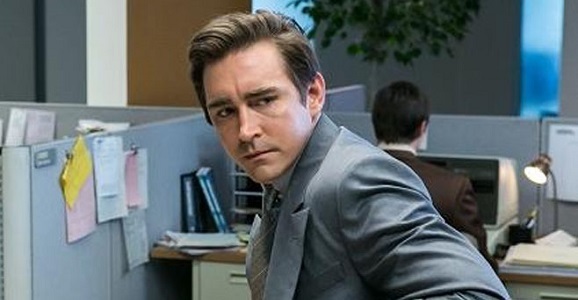 Over on TV, Pace recently wrapped up the stellar (but severely low-rated) period drama Halt and Catch Fire on AMC. Chances for renewal are not looking great. Filming is set to begin on Prisoner of War this September in South Africa. The last time we saw aliens in Africa, it was for Neill Blomkamp’s District 9. Will Prisoner of War have the same kind of political satire?